Online image editors are extremely common nowadays, but many are more complicated than they need to be. A common task for bloggers, PowerPoint presentation creators, and tutorial builders is taking multiple screenshots and cropping them to the proper size. It's a simple problem, but there hasn't been a simple solution until now. 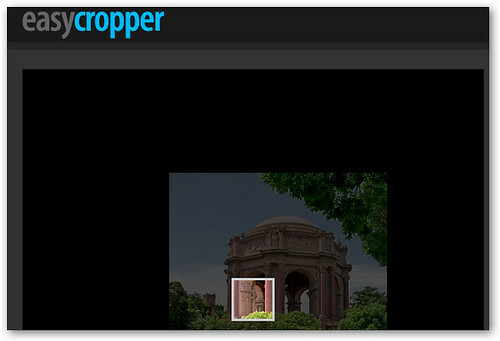 EasyCropper does just what you'd expect: it lets you crop images, and that's all it does. First select an image from your computer that you want to crop, and then choose the final dimensions (height and width) that you want to crop the image into. Click continue, and you'll see a small box superimposed on your image. Just drag your image until the section that you want in your final image is framed by the box, and click Crop It! Finally download your simply cropped image.